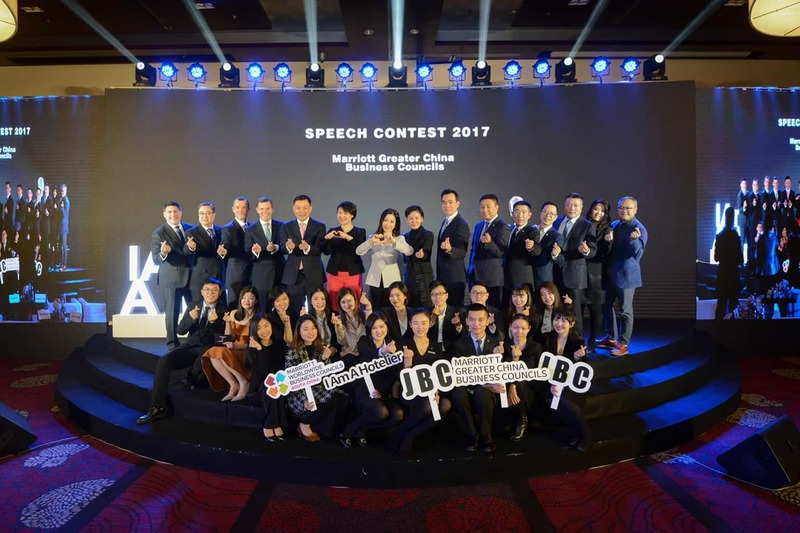 Beijing – 11 December 2017 – Marriott Greater China Business Councils and its Junior Business Council (JBC) held ‘I Am A Hotelier’ Marriott Millennial Speech Contest Final at Renaissance Beijing Capital Hotel. 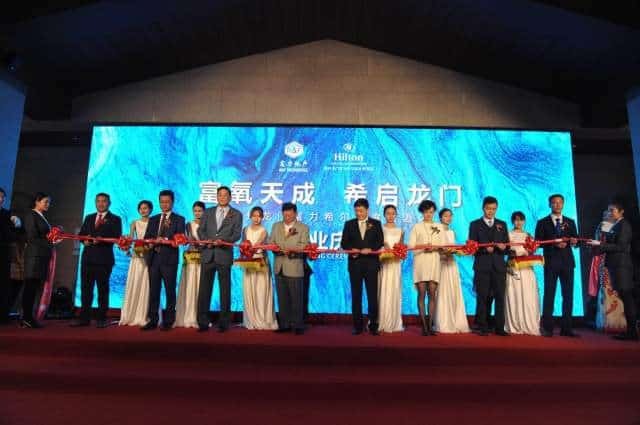 More than 80 audiences attended the contest include 16 Marriott general managers as a panel of judges came from Beijing, Shanghai, Zhengzhou, Sanya, Shenyang, Hangzhou and Chongqing. 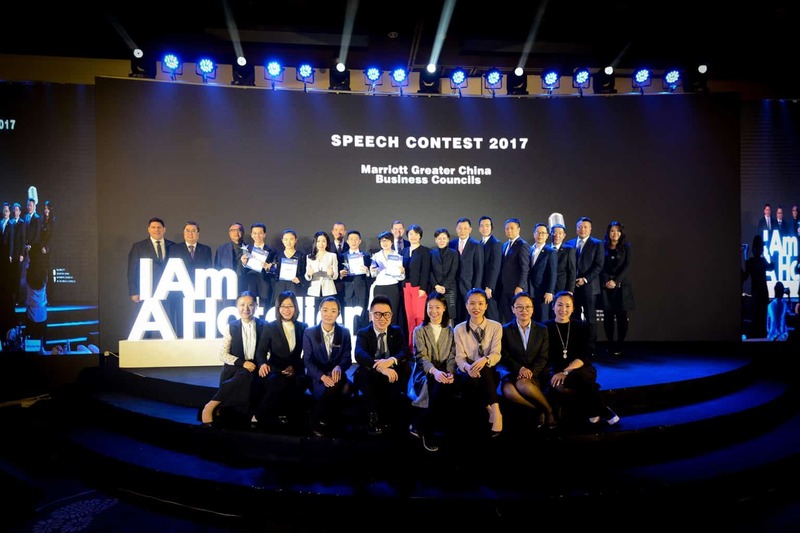 12 finalists completed impressive speech during the contest and Charlie Fan from Sheraton Sanya Resort won the first prize. 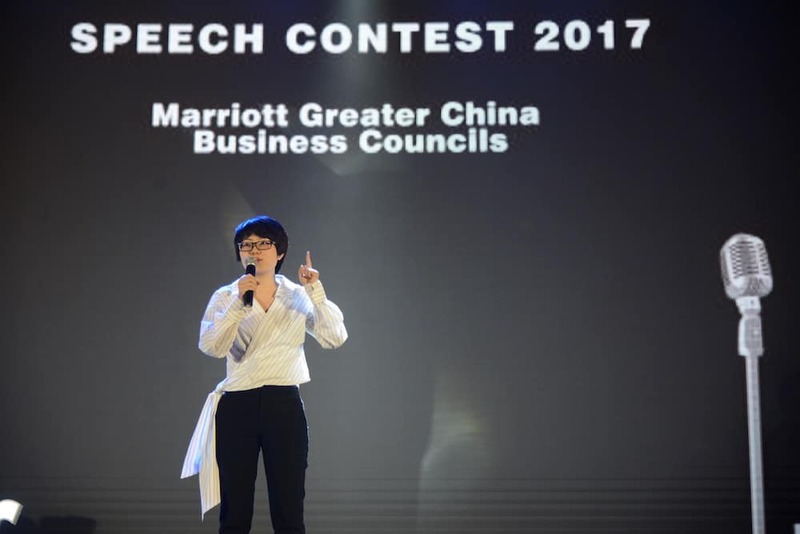 “The speech contest aim to arouse the pride of millennial hoteliers, give them a voice and to cultivate them a professional mindset. 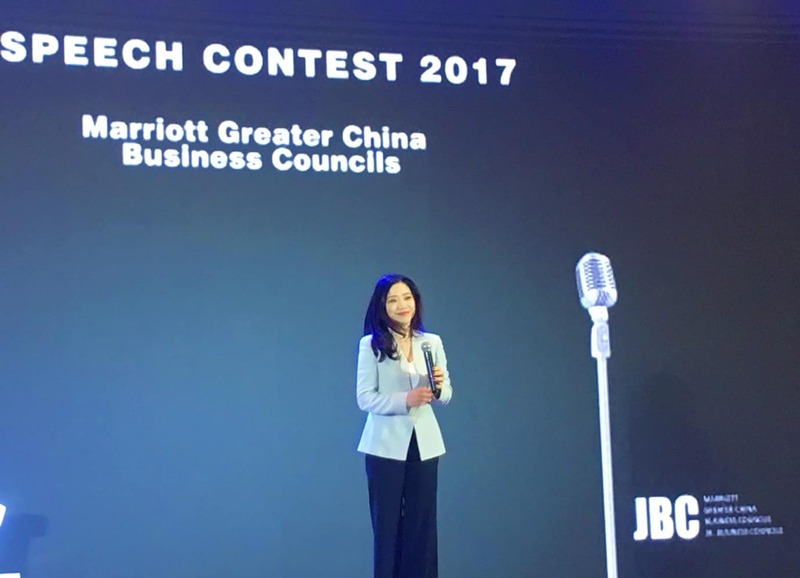 The Councils created JBC to develop future leaders by proving mentoring opportunity and we hope to discover more rising stars of Marriott”, said Angela Pan, the Guidance Team Member of Marriott Worldwide Business Councils, Greater China. “Today people who are sitting here have a common title– Hotelier, we are the same. But there must be something different between generations. We would love to understand the younger generation and to inject creativity for hospitality industry”, Angela continued. Millennials are regarded as a generation extremely rely on high-tech, however, when it is said that hotelier is ranked at the top list of jobs most easily substituted by robots, a young hotelier stated in her speech – “From my personal experience, I claim that Artificial Intelligence can only provide passive service after the guest has made a clear request. In contrary, we hoteliers are committed to providing personalized services beyond our guests’ expectations”, said Fann Zhang, the second prize winner. 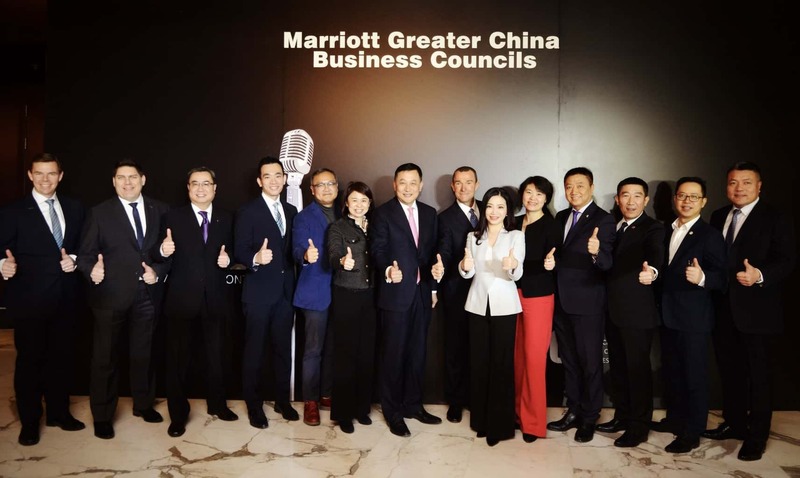 Marriott Greater China Business Councils, perpetuating Marriott culture and lead cross-brand strategy of the company, were formed by General Managers from 268 properties in 82 cities and represent 16 brands within Marriott portfolio. JBC is established as part of the Councils to emphasis the company’s core value ‘Embrace Change’ and to pioneer millennial projects. 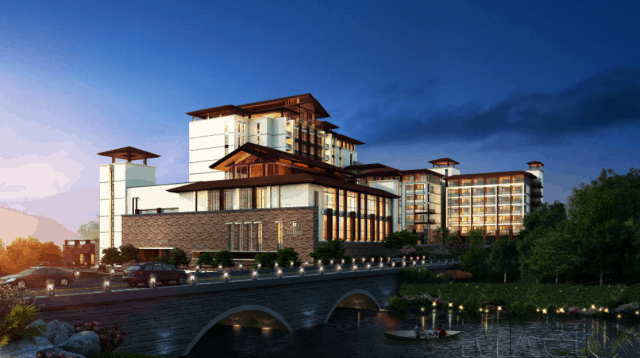 HUIZHOU, China and MCLEAN, Va. – December 30, 2017 – Set amidst the natural splendor of one of south China’s most picturesque destinations, Hilton Huizhou Longmen Resort is now welcoming travelers to experience the ultimate in relaxation and hospitality in the region. 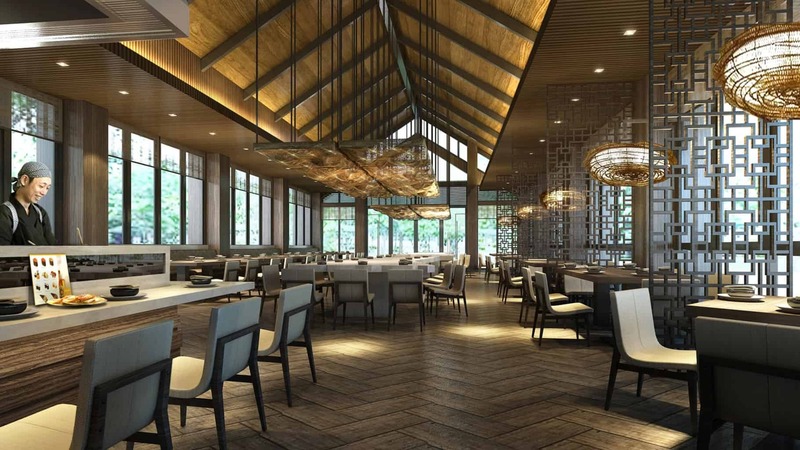 The resort boasts modern interiors, a variety of fine dining options and is the first Hilton property in China to feature natural hot springs that guests can enjoy at their leisure. 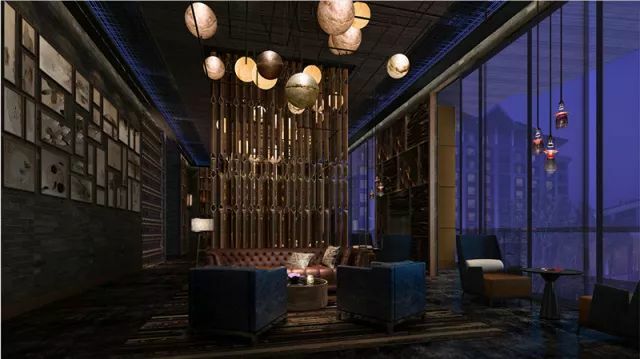 The resort, located in Yonghan Town of Longmen County, is secluded from the hustle and bustle of city life while still providing easy access to travelers from across the globe. 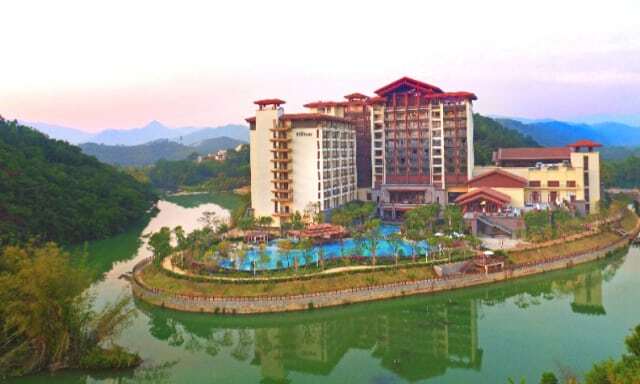 The resort is a scenic, 80-minute drive from Guangzhou or Baiyun International Airport, and is an easy trip from the Pearl River Delta cities such as Shenzhen, Dongguan and Foshan. 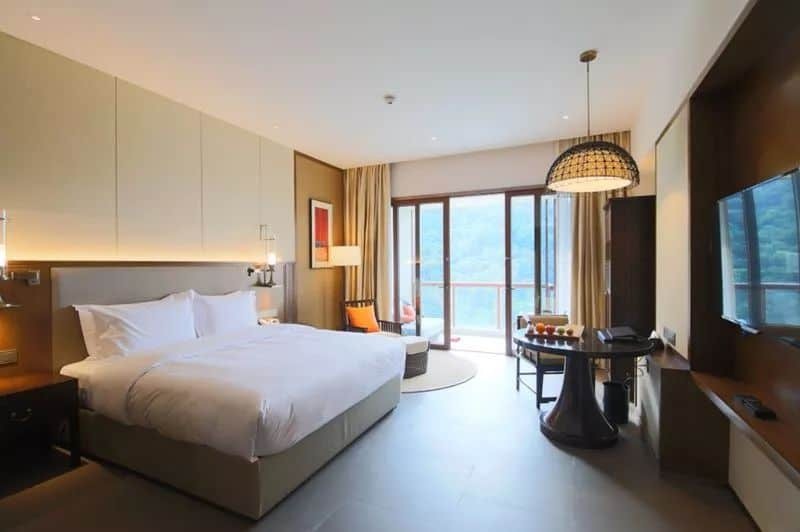 Hilton Huizhou Longmen Resort’s 366 guest rooms and suites are designed to complement and enhance the floor-to-ceiling views of the crystalline rivers and lush hillsides that surround the property. Many of the hotel’s suites are equipped with in-suite hot-spring pools, making it easy for guests to soak in bliss without interruption. 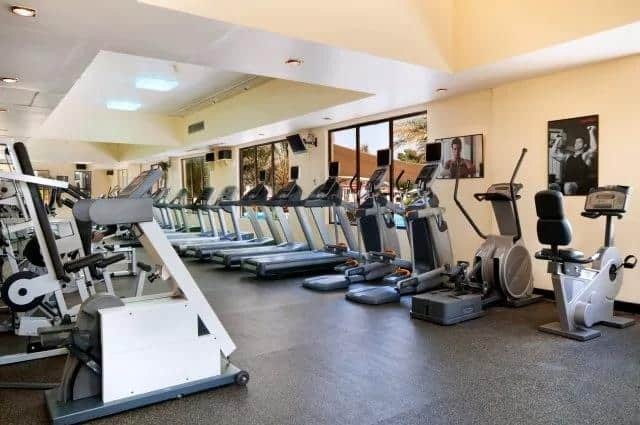 The resort’s 24-hour fitness center with the latest generation of Precor® cardio and strength-training equipment, as well as an expansive, outdoor swimming pool, helps ensure that guests will be feeling at their best during their travels. 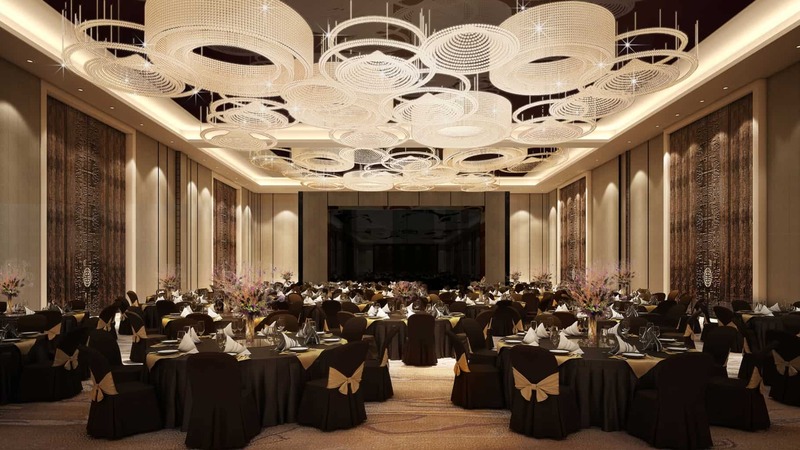 The resort features an abundance of versatile function space, separated into 11 rooms, including the impressive Grand Ballroom, a modern and upscale venue equipped with the latest conferencing technology. The resort’s dedicated team is on-hand to help plan any event – from corporate seminars to social gatherings – down to the last detail. 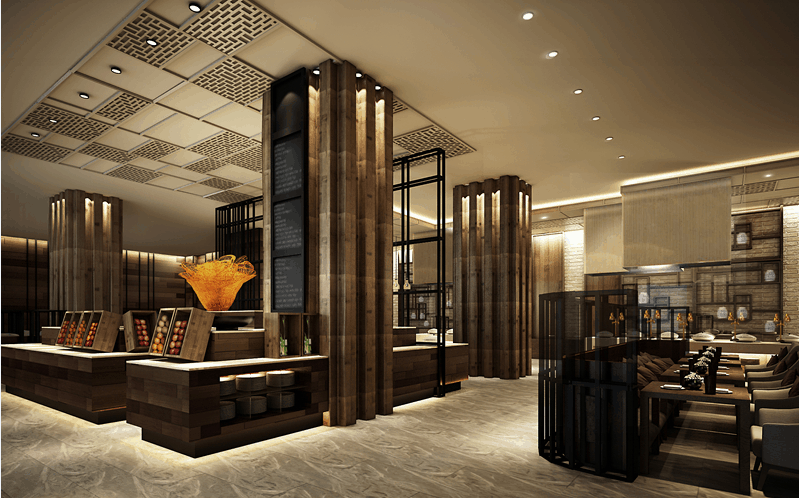 OPEN, a casual restaurant for all-day dining, serves a variety of international cuisines. Diners can order à la carte or enjoy the restaurant’s sumptuous buffet. 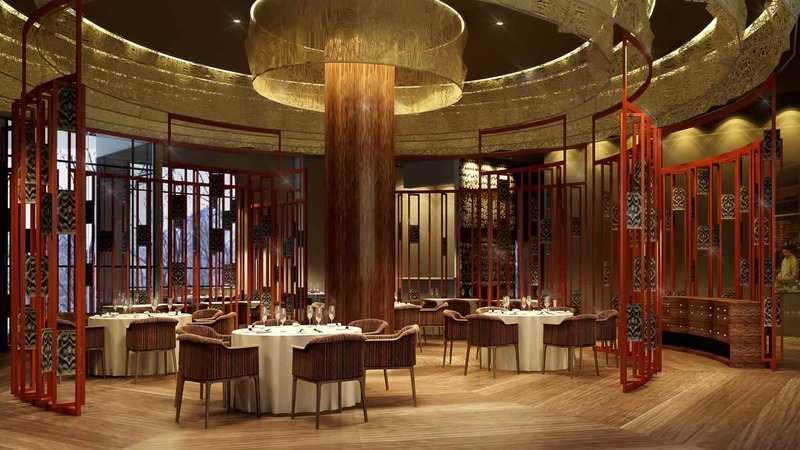 YUXI invites guests to whet their appetites with an array of contemporary Cantonese specialties, expertly prepared by its renowned Cantonese head chef and his highly trained team. The restaurant offers open seating as well as seven elegant private dining rooms. NODU features an international selection of individually prepared dishes and noodles for enjoyment in a social atmosphere. 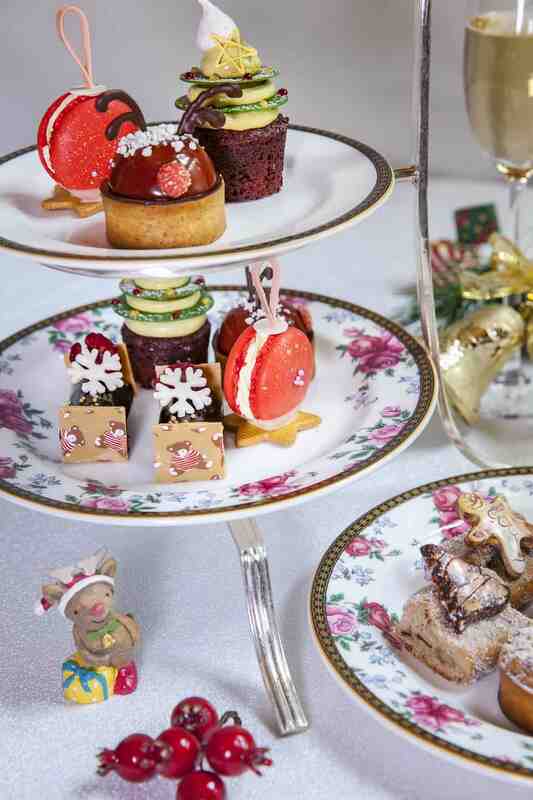 Lobby Lounge serves Chinese tea, aromatic coffee and pastries – perfect for a special moment with family and friends. MEI BAR beckons to those who enjoy sitting back with a signature cocktail or whiskey, and maybe even a fine cigar. 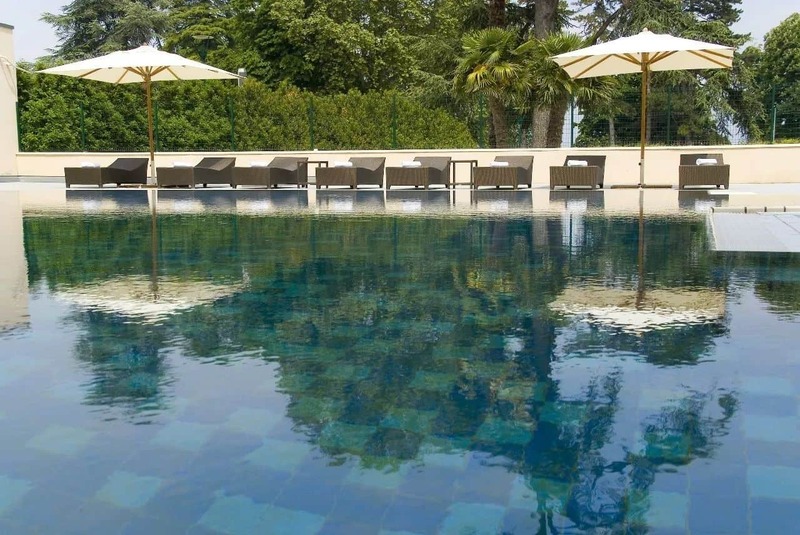 Pool Bar is surrounded by an outdoor garden, creating the perfect environment for light fare and poolside beverages. Private rooms to sing karaoke or play cards are also available for booking. Hilton Huizhou Longmen Resort is part of Hilton Honors®, the award-winning guest-loyalty program for Hilton’s 14 distinct hotel brands. Hilton Honors members who book directly through preferred Hilton channels have access to instant benefits, including a flexible payment slider that allows members to use nearly any combination of Points® and money to book a stay, a members-only discount that can’t be found anywhere else and free standard Wi-Fi. Members also enjoy popular digital tools available exclusively through the industry-leading Hilton Honors mobile app, which Hilton Honors members can use to check in and choose their rooms. To celebrate the hotel’s opening, Hilton Honors® members can earn 1,000 Bonus Points® per night at the best available rate for stays completed by March 29 2018. 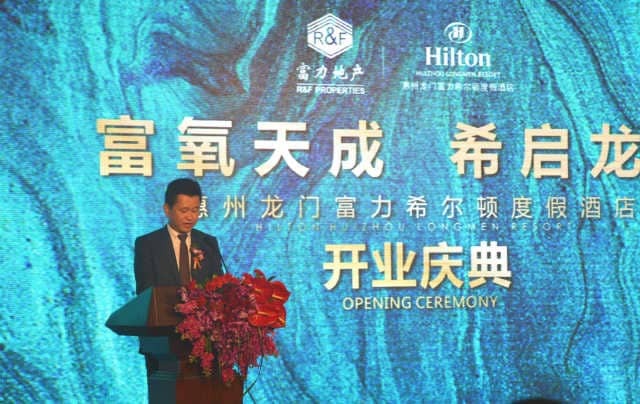 Hilton Huizhou Longmen Resort is developed by Guangzhou R&F Properties Co., Ltd., and managed by Hilton. 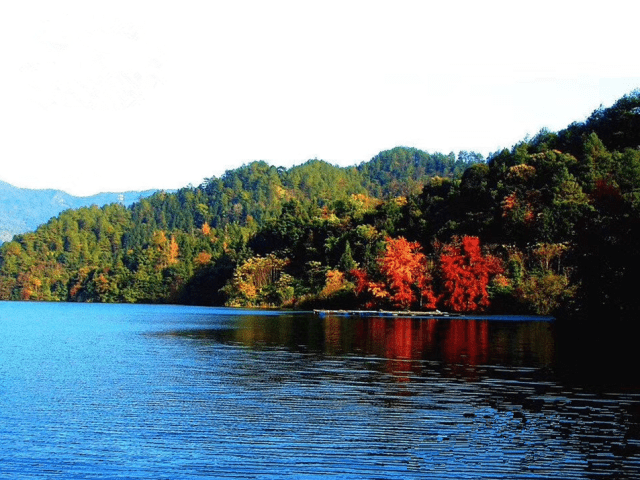 It is located at Fuli Nanunshan Hot Spring Healthy Valley, Yonghan Town, Longmen County, Huizhou City, Guangdong Province, China, 516870. For more information, or to make a reservation, please visit huizhoulongmenresort.hilton.com or contact the hotel at: +86 752 588 0888. 6 December 2017, Shenzhen. 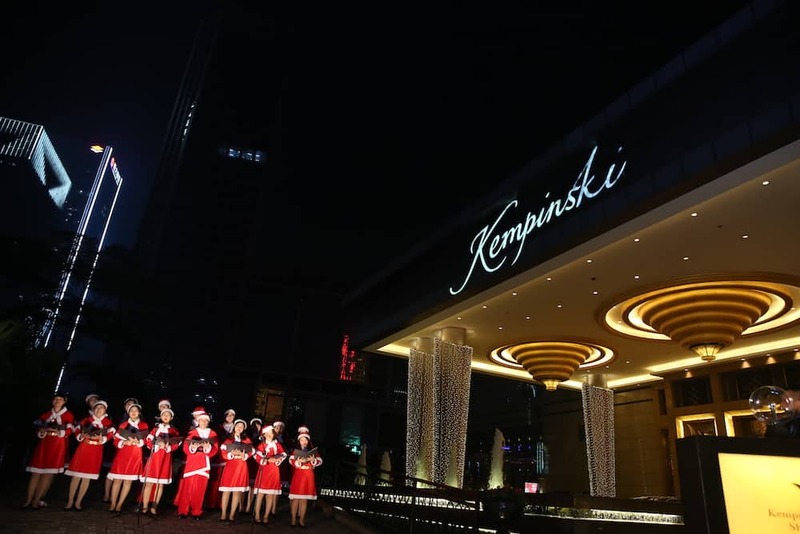 A sparkling X’mas Tree Lighting Ceremony was held in Kempinski Hotel Shenzhen to celebrate the upcoming Christmas season and express greetings to guests. A special corner which decked out with an abundant of festive decorations, was set up in front of the Lobby Lounge for guests’ sign-in. The guests were encouraged to write up a wish card, pick a party favor and take a Polaroid with the Santa Lucia and Santa Claus. 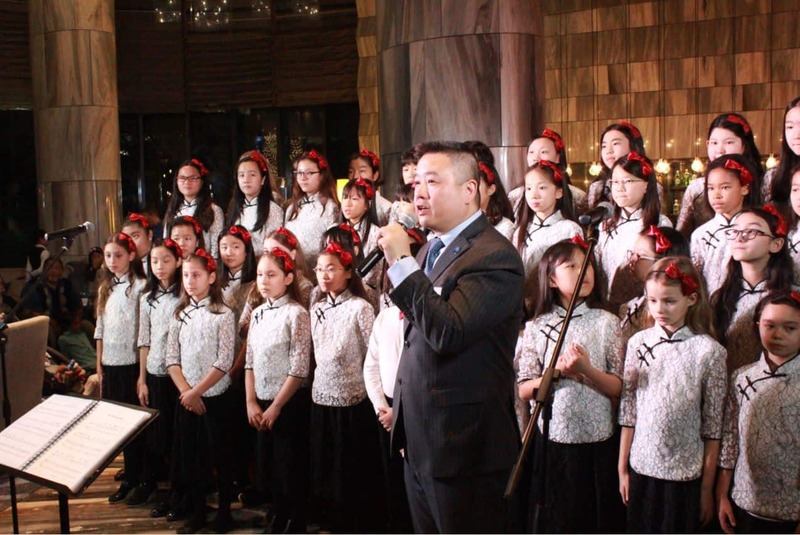 The opening performance presented by the hotel Christmas choir, make the guests immerse with a relaxing and cozy festive ambience. 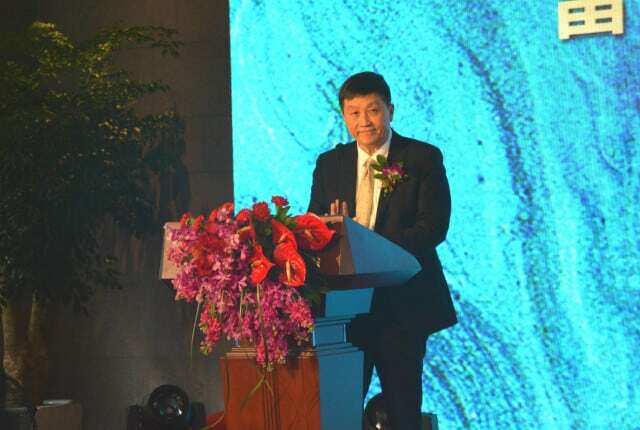 Mr. Raymond Su, Resident Manager of Kempinski Hotel Shenzhen, gave a warm welcome to our guests. After that, the mysterious Santa Lucia surprisingly appeared and led the guests to the outdoor tree lighting venue. 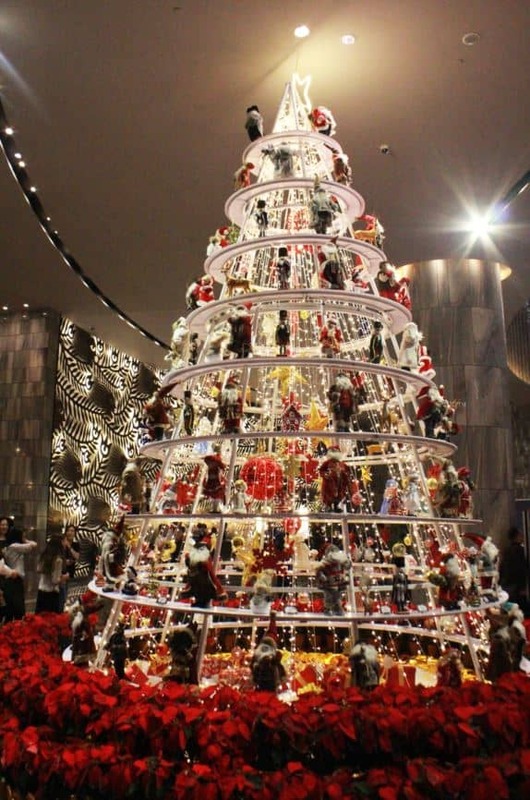 Accompanied with the exciting count-down, a 10-meter high Christmas tree lit up by Raymond Su, s sparkling tree seems like an indispensable symbol of the holiday season, brings us warmth and hope. 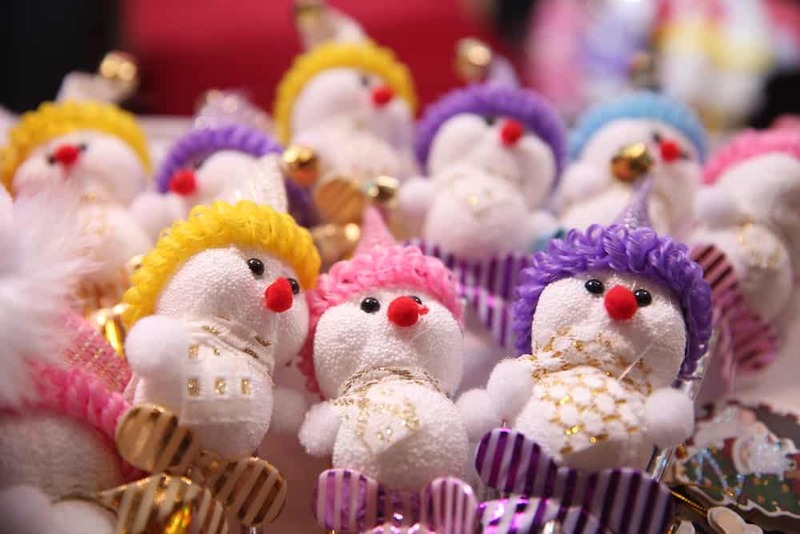 Santa Claus brought toys to children at the event, created a lot of fun to the guests. 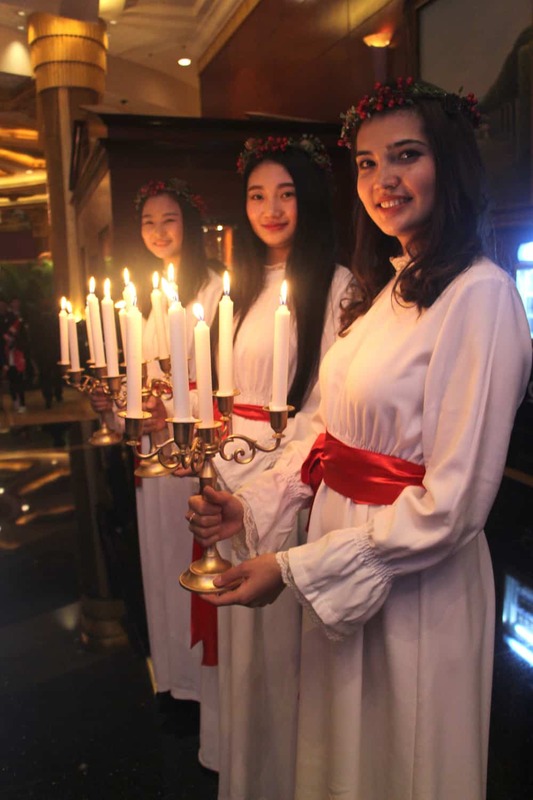 The ceremony unfolded with one climax after another, including, among others, exciting lucky draws, eye-catching Santa Lucia, surprising visit of Santa Claus with mystic gifts, delicate Christmas refreshments, entertaining the guests with the most joyful St. Nicolas night! It was a warmth and harmony evening with true Christmas spirit. 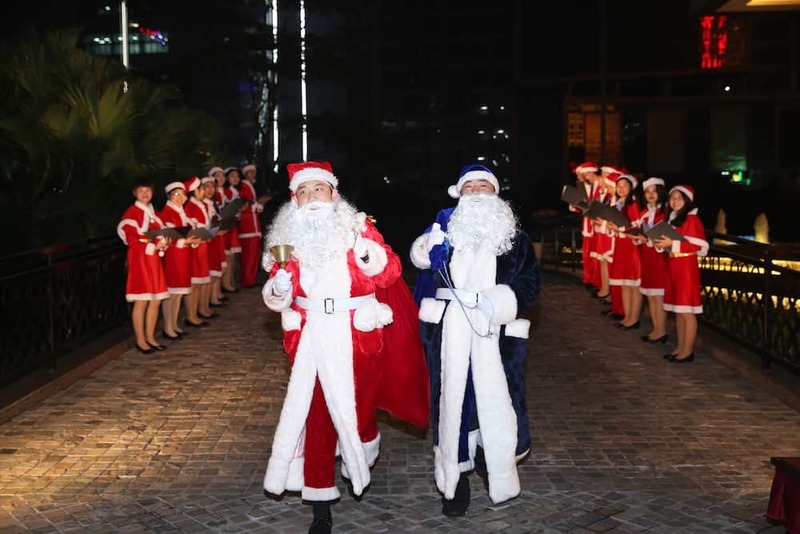 On December 1st, 2017, Sheraton Shenzhen Futian Hotel organized a “Super Hero” theme lighting ceremony, with more than 80 guests attended the event. 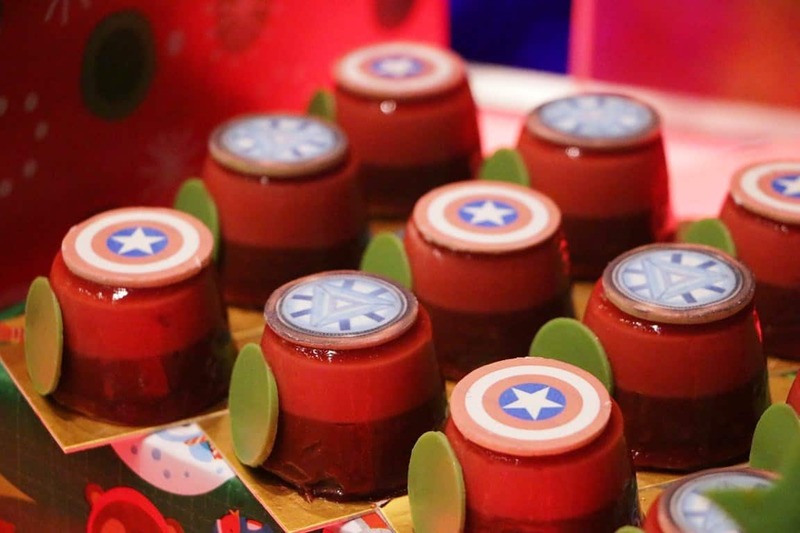 Not only classic ginger bread, gluehwein and white wine were offered in the ceremony, but also Captain America’s shield pudding and Batman chocolate mousse cake were prepared by hotel’s culinary team. Accompanied with the Santa Claus and the hotel Executive Committee members, three kids took on the roles of Superman, Batman and Wonder Woman walking out of the Lincoln limousine. When they were brandishing the “laser sword” to the top of the Christmas tree, the tree was lit up from top to the bottom, representing the beginning of the joyous Christmas season. 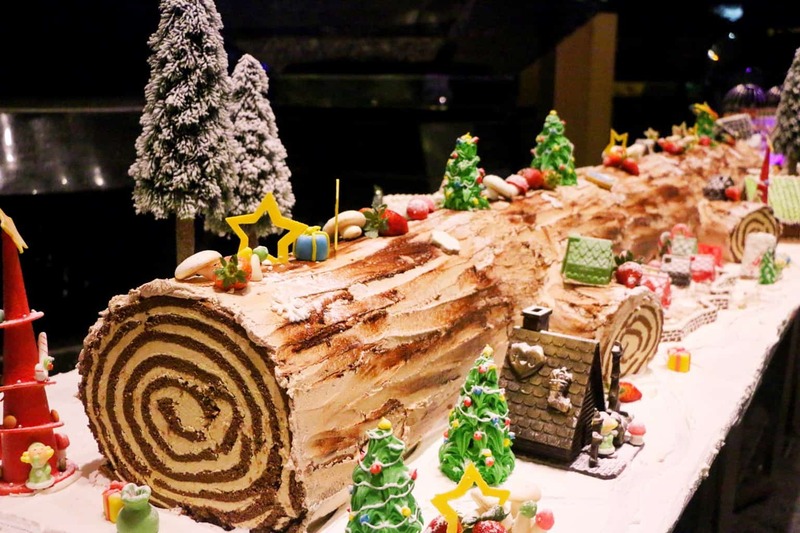 From turkey, Christmas hamper to Christmas brunch, there’re so many tasty dining options that you can choose at Sheraton Shenzhen Futian Hotel in this special season. 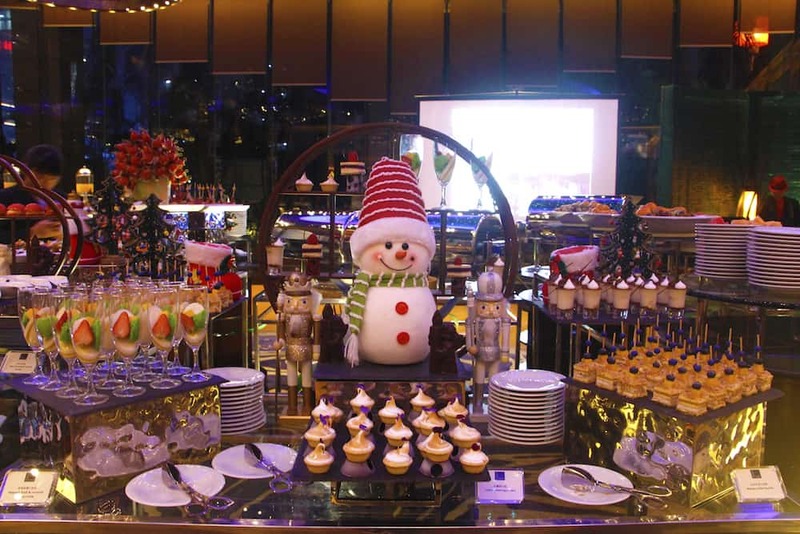 In Christmas Eve, come indulge yourself in an extravagant Christmas buffet with fresh Alaskan king crab, Australian oysters, Boston lobster, succulent roasted turkey, sirloin steak and more. Also, you can have as much wine and ice cream as you wish. 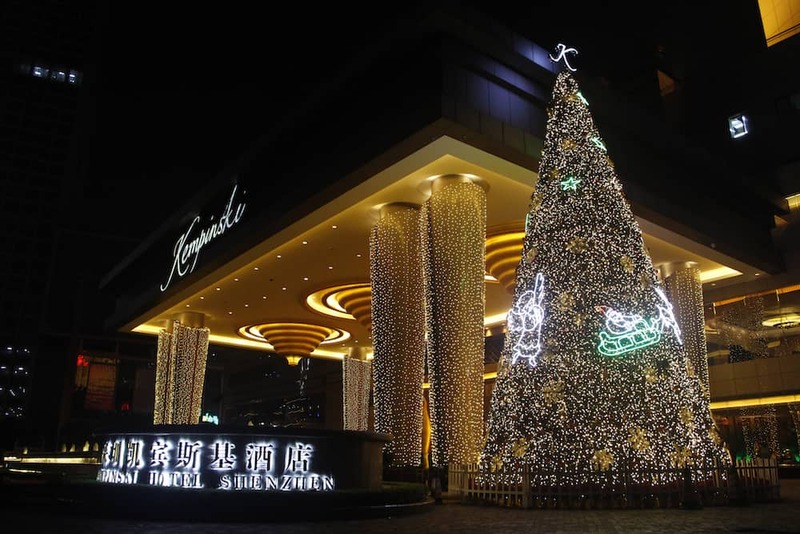 The perfect live show and Christmas mystery lucky draw with iPhone X, iPad mini 4, room vouchers from luxury hotels from Marriott International will light up your wonderful Christmas Eve! 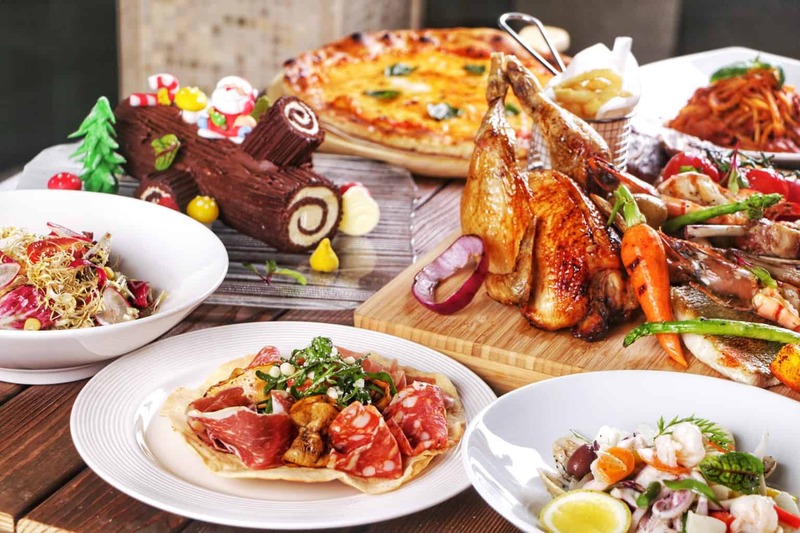 Inspired by the Christmas gathering happiness, the chic and elegant Mezzo designed a Family Set Lunch specifically for family gathering of 4 to 6 people, which includes salad, soup, Yule log cake and a Grand Plate including abundant seafood and roasted meat. If you’re desire for a romantic date with your loved one, Mezzo ensures you an exotic voyage to Italian delicacies served with selected red wine, making this fabulous evening unforgettable in 2017. 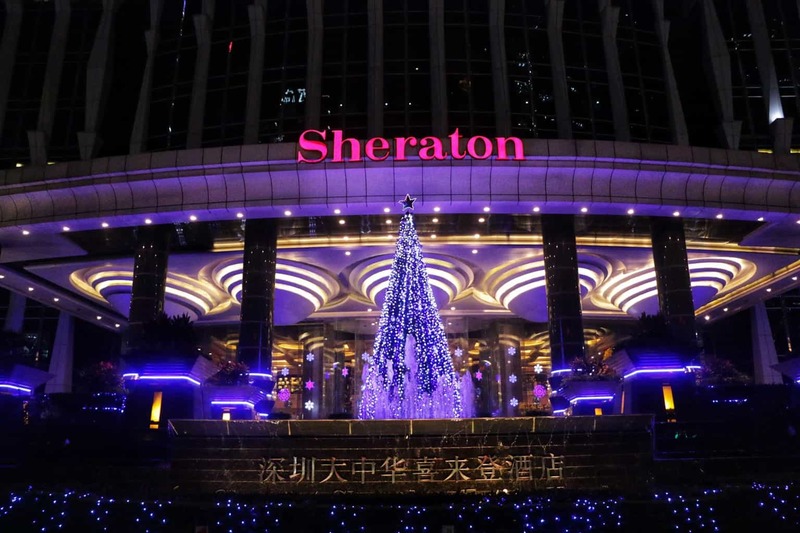 Recently, Steven Koo is appointed as Executive Chef in Hilton Shenzhen Shekou Nanhai. Steven Koo has over 30 years’ experience in hospitality industry. 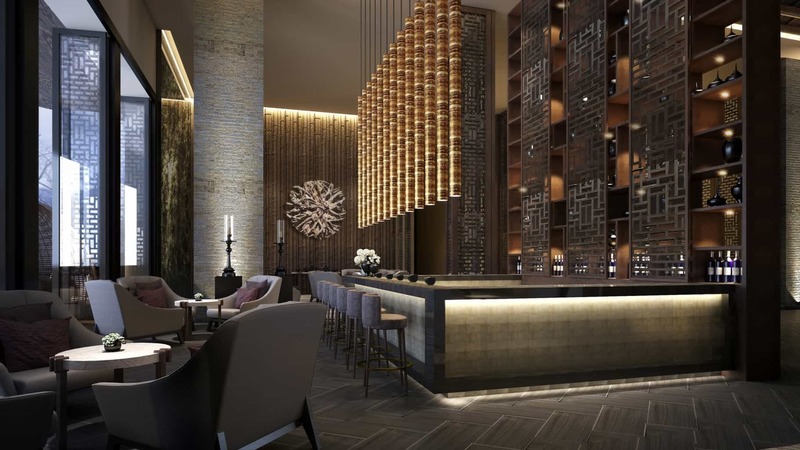 Before joining Hilton Shenzhen Shekou Nanhai, he had served in Caesar Palace Las Vegas, Shangri-La’s Rasa Sentosa Resort & Spa, Shangri-La Hotel Kuala Lumpur, Marco Polo Shenzhen, Crowne Plaza Paragon Xiamen and etc. Since 1989, Steven Koo has attended and won many prizes in cooking and skills competition. In the future, Steven Koo will be responsible for the kitchen’s operation and food quality. He will be leading his team to provide better service and products for guests.